Explore the streets of New York in ultra realistic detail! Explore the streets of New York in ultra realistic detail! Cruise along Broadway, Wall Street and the famous Avenue of the Americas, including Times Square! 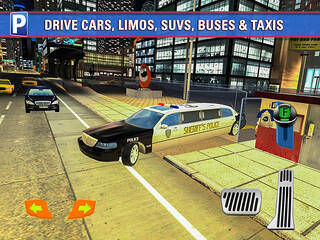 Drive 15 Amazing New York themed vehicles! Drive multiple exciting vehicles, including SUVs, Sports Cars, Iconic New York Taxis and Busses, a Classic yellow School Bus, Police Tow Truck and 4x4, Limousines and beautiful American classic cars. There’s a car for every occasion! The game features realistic road layouts following the exact layout as in real life! Drive amongst city traffic and try not to cause a pile-up. But you’ll have to take some risks if you want to beat the target times for the best in-game rewards. 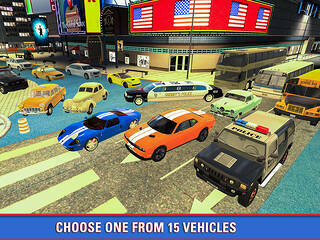 Park your cars in 75 increasingly challenging Missions. Can you pass them all without damaging the cars? Can you complete each tasks in the best time possible while avoiding a crash? Prove you’re a skilled and careful driver and you’ll receive the best rewards!